Toke Makinwa is one of the most popular and most sought after TV host in Nigeria. A Radio personality, Society lady, and Vlogger. She started her career as On-Air Personality in 2010 with a late night radio show, “Rhythms of the Night” on Rhythm 93.7FM. As one of the most popular TV host and Radio personality in Nigeria, she make so much money from her job as well as from her YouTube channels. Here we take a look at her earning to determine her net worth. So, how much is Toke Makinwa net worth and how is she making the money? Toke Makinwa net worth is $2 million, she is the co-host of “The Morning Drive” on Rhythm 93.7 FM. Toke was one of the host a of an entertainment program ‘3LiveChicks’ which was launched in 2012. In January 2014 she was announced as the host of Trending on HipTV and some other shows. Toke Makinwa was born on 3rd of November 1984 in Lagos state. She went to high school in Federal Government College Oyo State and graduated from the University of Lagos where she earned her Bachelor of Arts in English Language and Literature. Toke Makinwa won the ‘Outstanding Female Presenter of the Year’ at the 2013 Nigeria Broadcasters Awards. She has been nominated ‘On Air Personality of the Year’ at the The Future Awards in 2012 and Radio OAP of the Year in 2013 and some other awards she was nominated for. 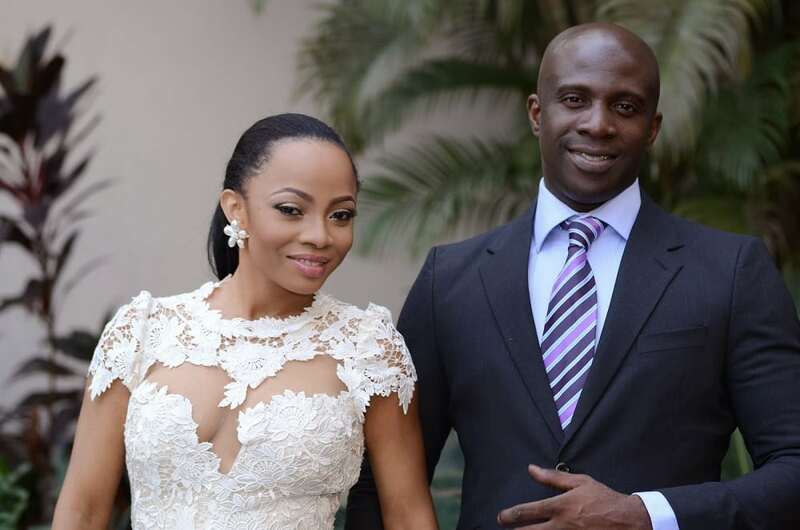 On January 15, 2014, Makinwa had a private wedding ceremony with her lover of 8 years Maje Ayida and they began having problem in their marriage after her husband impregnated his former girlfriend in 2015. Toke Makinwa have signed endorsement deal worth several millions of naira with top brands in Nigeria like Nestle Nigeria to become the new face of Maggi, Payporte Global Systems Limited, an online shopping and retail brand. And also ambassador of the United Africa Company of Nigeria alongside Osas Ighodaro, Dare Art Alade and Dan Foster in 2013. She recently signed an endorsement deal with Mecran Cosmetics to become the new face of the brand.